At the law office of May, Potenza, Baran & Gillespie, P.C., we are committed to providing those in the state of Arizona with the best legal representation for all family law and mediation matters. As this is a difficult time for any family, our attorneys are compassionate, kind and sensitive even as they aggressively defend the rights of our clients. 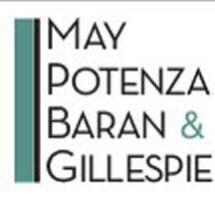 Since 1996, the people at the law office of May, Potenza, Baran & Gillespie, P.C., have represented families, entrepreneurs, professionals and businesses. We provide efficient, flexible, economic and high-quality legal services to help our clients adapt to a world that changes rapidly. We have represented a diverse list of clients from small businesses to families negotiating child support and custody. The family law area of our law office handles cases of guardianship and conservatorship, grandparent rights, domestic partnership, antenuptial agreements, prenuptial agreements, legal separation, divorce, domestic relations and collaborative divorce.